Please be careful when using satellite navigation to get to Ardingly College, this can sometimes route you down narrow country lanes. When arriving from the north via the M23, please exit at junction 10 not 10a, your satellite navigation should then re-route you via the A264, B2028 and College Road as described above. 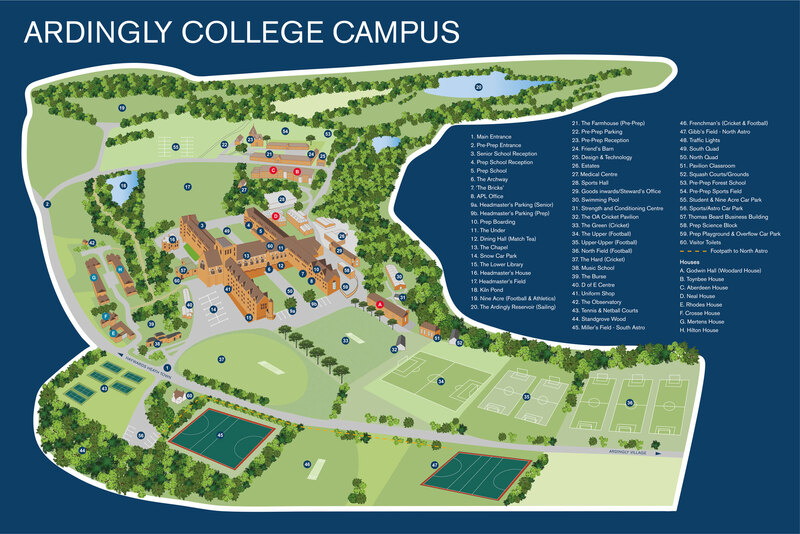 When arriving from the south, please continue on College Road past the entrance to Ardingly Reservoir and our Pre-Prep School. The main entrance to the school is a further 600 yards up College Road just before a pedestrian crossing. Haywards Heath, West Sussex, RH17 6SQ.